Watch this short video below for an overview of how BrightPay Connect can meet your payroll and HR needs. BrightPay Connect, our latest cloud add-on, works alongside BrightPay Payroll. Automatically store payroll information in the cloud and enable online access anywhere, anytime for you, your accountant and your employees. You will be up and running in seconds. Secure online backup, automatically synchronising payroll data to the cloud, protecting against ransomware. Employers can access all employee payslips, payroll reports, amounts due to Revenue, annual leave requests and employee contact details. Payslips, P45s, P60s and HR documents are automatically available to employees which can be downloaded or printed. Employees can view their annual leave calendar and request leave. Employers can view all past and upcoming leave in the BrightPay Connect company wide calendar, including annual leave, maternity leave, sick leave, etc. Ability to approve leave requests, with approved leave syncing back to the BrightPay software. With BrightPay Connect, employers can keep track of employee information such as contact details. HR documents can be uploaded for individual or multiple employees, including employee contracts and handbooks. The smartphone or tablet employee app provide access to GDPR compliant self-service tools, a payslip library and a user-friendly holiday leave management facility. Find out more here. 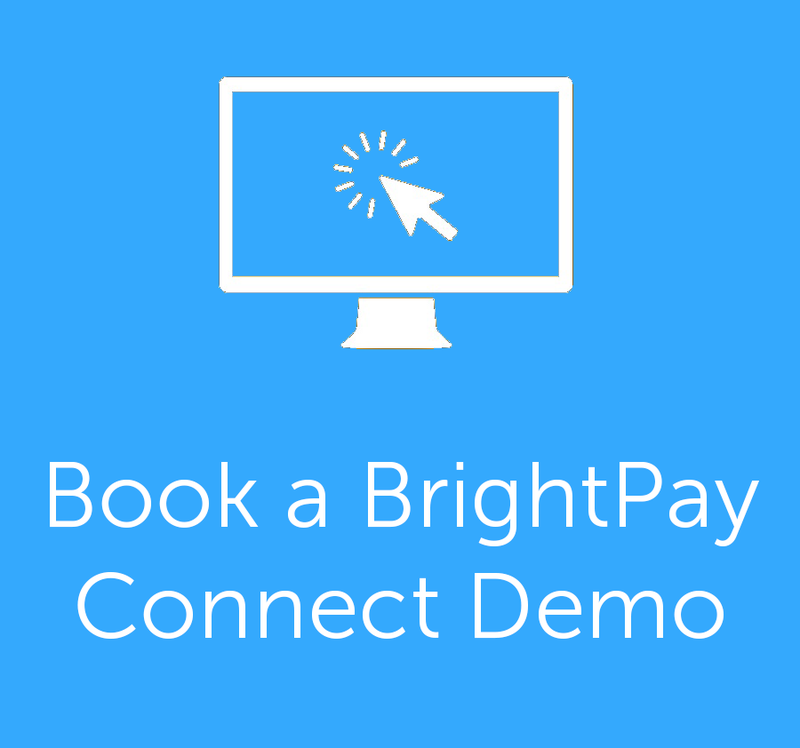 Click for more BrightPay Connect features. Find out how BrightPay Connect can improve your payroll processing. Our online demo takes just 20 minutes. The demo will take you through how to synchronise your payroll data to the cloud and demonstrate how easy it is for employees to access payslips online and submit annual leave requests. Learn how you can easily authorise leave requests with changes automatically flowing back to BrightPay payroll. BrightPay Connect is just €59 + VAT per tax year for an employer licence.